Should Your Startup Join An Accelerator Program? KillerStartups > Startup Tools & Guides > Should Your Startup Join An Accelerator Program? Applying for an accelerator program is a major decision for any company in its early years. For CoachUp, it was the right decision, and we learned a lot along the way. We launched CoachUp in 2012 and successfully went through two incubators/accelerators that same year in Boston: MassChallenge and Techstars (Boston). But as with any business decision, there were distinct pros and cons. The most obvious benefit of an incubator program is the network of people that you connect with. The network effect is incredible. You’re connected not only to mentors and advisors, but former alumni companies. When we started to scale our dev team and we hit points where didn’t have in-house expertise, it was easy to ask our Techstars network for help. We mentioned the challenges we had encountered and immediately got advice or were connected to someone who could help us. 2. Your neighbors (in the same accelerator). As a startup, you often feel like it’s “you against the world,” so motivation and keeping morale high is critical. In an incubator environment, everyone around you is working just as hard, if not harder than you. It helps to be where folks are at your level, and it helps to see high and low points at the same time. This humanizes starting a business. Some accelerator/incubator programs are difficult to get into. When other companies, potential employees, and investors all see that you graduated from a program of this caliber, it sets you apart from other startups at the same stage. For a young startup, it’s all about progress and differentiating your company from other companies and competitors. The Techstars seal has helped us a lot. 1. Giving up a chunk of your company. You’re giving up a significant piece of your company to a program that will only have six months of influence on your business. That being said, the incubator effect is actually longer-lasting than six months. You’re connected to the incubator’s network for life, and that connection is priceless. 2. Aligning business needs with incubator needs. There’s a lot of pressure when you enter incubators to scale, and they can put a lot of emphasis on fundraising and how to go about getting investors. This is fine if that’s what you want for your business, but it’s not necessary for every company. It’s not a bad decision to bootstrap and opt for slow growth. At the end of the day, though, the programs are best for founders who plan to seek outside funding. 3. Lots of must-attend events. While some events were useful, there were events I wish I could have skipped so I could have focused on building my business instead. Unlike MassChallenge, where you can pick and choose what events you attend, Techstars requires you to attend everything. Some things you might not want or need for your business. When deciding whether or not to enter an incubator or accelerator program, I suggest you consider two main issues: what stage you’re at and how you want to build your company. Incubator programs are not for everybody. But for companies like CoachUp that want to do anything they can to set themselves apart from the crowd, it is well worth it. 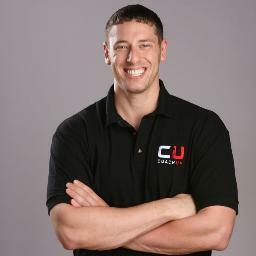 Jordan Fliegel is the Founder & CEO of CoachUp.com, the nation’s leading private coaching company. CoachUp.com helps athletes achieve their full potential by connecting them with great private coaches, who they back up with a 100% money-back guarantee. He is also Founder & General Manager of Bridge Boys LLC, an early-stage seed investment fund in Boston.